You will find in this post the review of best places for roller skating in Prague. “Inline” or “roller” – skating seems to be synonyms, if someone knows the difference, please, post in comments. Nice place for rollers and great views. 1. Letná. Park with great views on Prague, nice place for rollers too. To get there go the the Sparta or Letenské náměstí tram station. 2. 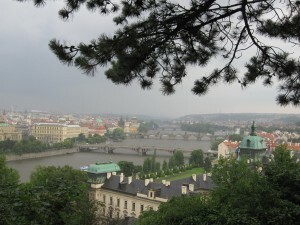 Right bank of Vltava, near Vyšehrad – get to the tram station Podolská vodárna and roll along the river (south direction). Or station Výtoň, but you will need to walk a little to the good surface. 3. Ladronka: the park place between Vypich and the Strahov television tower. Get there by tram to the Vypich tram station. 4. Stromovka. Near Lentá, to get there go to the tram station Výstaviště Some useful information about renting places can be found in this post. We offer our help for tourists via gig on fiverr.